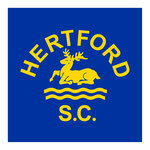 Hertford SC needs swimming teachers and coaches. Club members & parents of swimmers please do consider coming poolside to share the rewarding experience of teaching your children to swim. BEFORE booking a course, email SwimMark@hertfordsc.co.uk for more information. Also speak to, or email the head coach on headcoach@hertfordsc.co.uk to arrange when you can help poolside to gain experience assisting teaching or coaching. When finances permit the Club will fund courses. This is subject to your commitment to teach or coach swimming for the Club. Email treasurer@hertfordsc.co.uk about this. February 2019 promises to be packed with Development Opportunities for Swimming Coaches, Officials, Volunteers & Parents who would like to be involved in the amazing world of swimming! A range of courses dedicated to coaches of all sports, including qualifications, sports nutrition, psychology and behaviour, This Girl Can in Herts, Safeguarding and Protecting Children and many more. If you would like to be involved in coaching or are looking to further your qualifications, this is a great opportunity to access courses locally. More courses will be added to the programme of events. To book your place click on the name of the course in the Excel file and you will be directed to the Eventbrite booking page. Stevenage Leisure ‘Ascent Training Centre’ offer swimming teaching courses and more occasionally coaching courses . Some courses may attract a subsidy from Stevenage Leisure. Check this with the centre. Courses listing may be viewed on the training matrix. To check whether additional courses are planned eg If Ascent Matrix course listing is out of date , or for any other inquiries email ascent.training@sll.co.uk or phone Sharon Hunter on 01438 242636. There is another local organisation TRITONS which runs Swim England courses. For more information please go to SEER website. The IOS is the Training arm of Swim England. They organise nationally a wide range of vocational swimming-related courses including swimming teaching and coaching courses. Several local pools including Haileybury sometimes host IoS courses. Their Swimming Teaching & Coaching Courses dates can be found here. You can then filter the calendar for month/year. Courses regularly come up in Essex, Herts and North London. For information on HSP courses click here & select Workforce Training & Development. It is recommended all swimming teachers & coaches attend ‘Safeguarding & Protecting Children’ workshop and renew it every 3 years. For those who have already attended a ‘Safeguarding & Protecting Children’ workshop (for Club or other organisation) which needs renewing there is an online ‘Safeguarding’ course run by scUK (Sports Coach UK) for renewals. This is the only online Safeguarding course accepted by Swim England. It can be done at home in your own time, takes iro 1.5 to 2 hours and costs only £16 which you should reclaim from club treasurer. Everyone - Whether you renew online or are attending a tutor-led workshop in person please pay full workshop cost and reclaim from Club treasurer after completion. Please email a copy of your certificate asap to volunteeradmin@hertfordsc.co.uk as it’s needed for club records & our SwimMark file. Thanks.